Punishment. 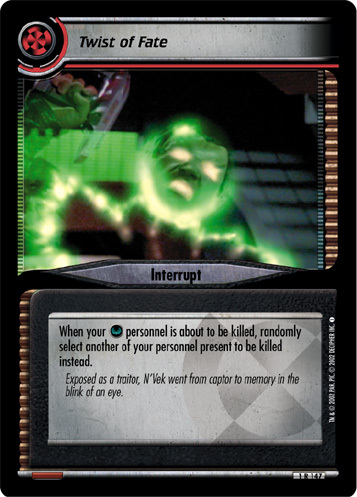 You may play only one copy of this interrupt each turn. Order - Choose one of your captives. Each of your Intelligence personnel gains that captive's skills until the end of your turn. "Odo, just tell me what I need to know, and this will end."